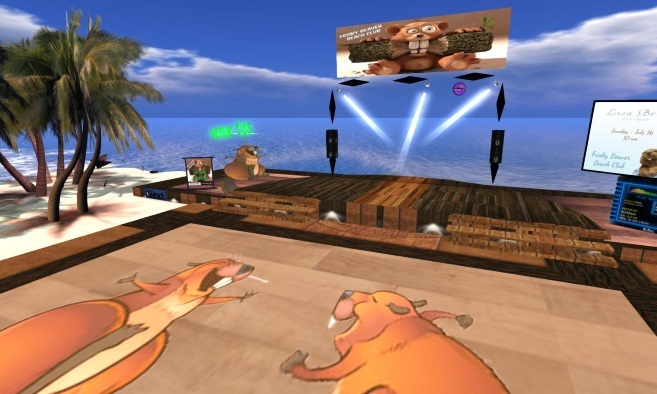 The Frisky Beaver Beach Club is a live music concert venue that is also designed for exploring. Hang out, swim or jump on a scooter, bicycle or trampoline. Play a game of Greedy or enjoy the music and dance!